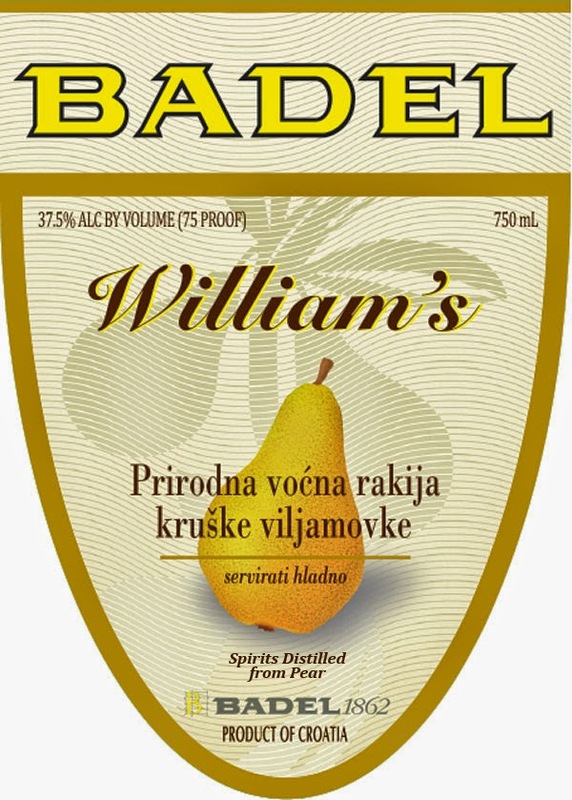 Badel William's is a fruit Rakija produced from the world famous pear Williams and its aroma and flavour are preserved by a careful distillation process. Best served as aperitif, chilled, and in order to reveal all its aromatic and refreshing qualities we recommend to add a pear slice. 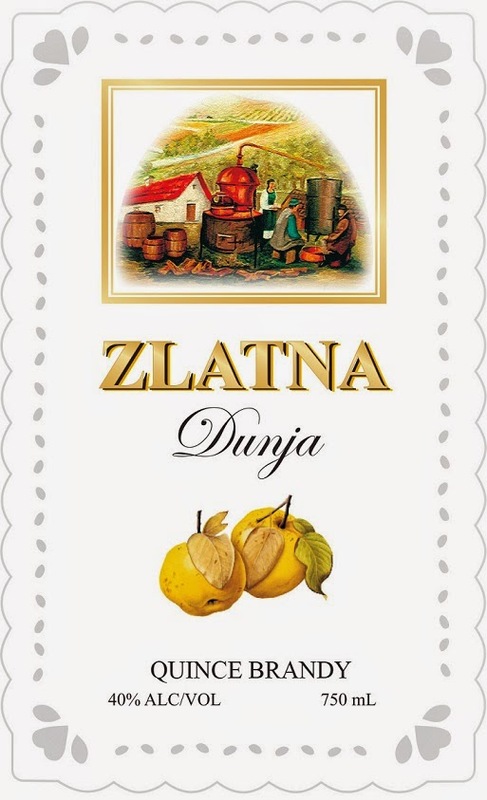 Divna brandy has a soul, in which the smell of the earth, the taste of its fruits, the warmth of sun and friendship can be felt. Created after the model of the good old days, Divna is inspired by the stories of our ancestors, who used to sit with friends by the crackling fire in the fireplace in the long winter nights and enjoy the time while the wind was howling outside. With a glass of good brandy, every story sounds even better. Divna is the brandy for friends. Made with a unique blend of woodland spices. Juniper and wildflowers envelop the nose, while the taste is dry, yet vibrant - clean and nuanced by emerald grasses, golden citrus, and white pepper with a round, floral body. Crisp enough to enjoy straight and of course excellent in cocktails both classic and contemporary. 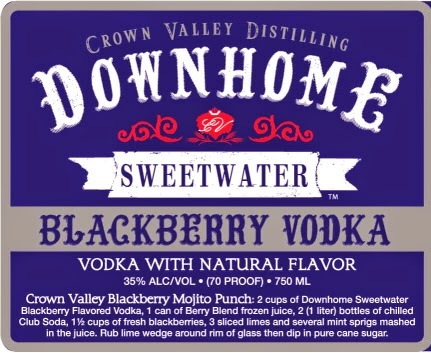 Made with Crown Valleys's farm raised blackberries. The nose of our Blackberry Vodka has fruity blackberry notes and is great for mixing or enjoying on the rocks. The nose of our Pink Lemonade Vodka is sweet with citrus notes. 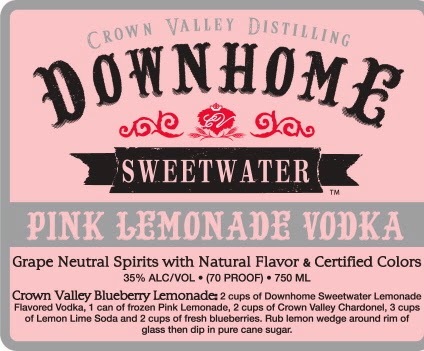 This vodka has a great combination of sweet and tart flavors. 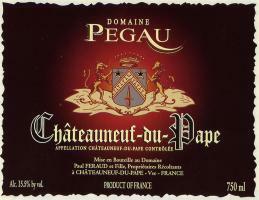 Pegau Cuvee de Capo is only made in great years. 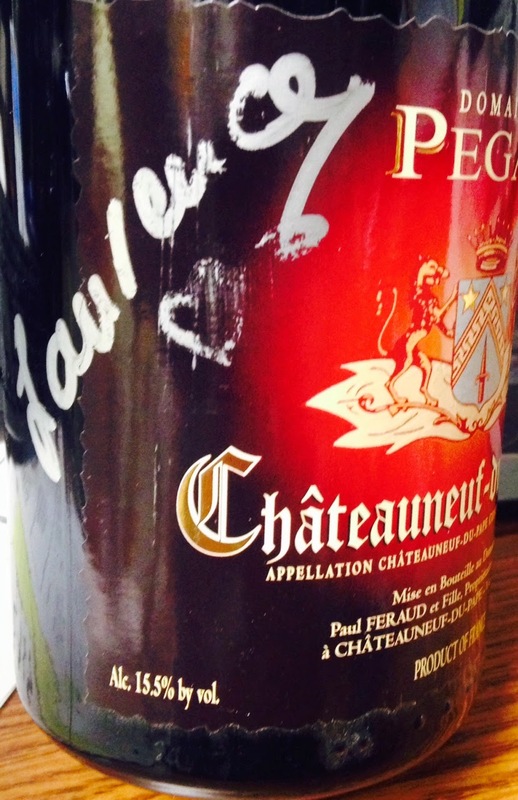 It has scored a perfect 100 every vintage! The 2012 John C. Sullenger Vineyard Cabernet Sauvignon opens with bright fruit aromas that jump from the glass. 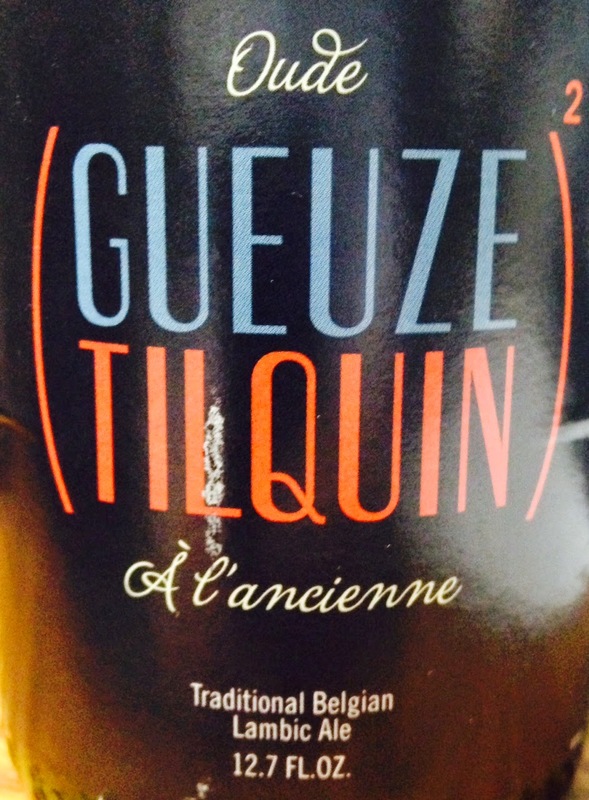 Plum and cherry fruits harmoniously pair with hints of chocolate, earth, and herb to make the wine rich and full. 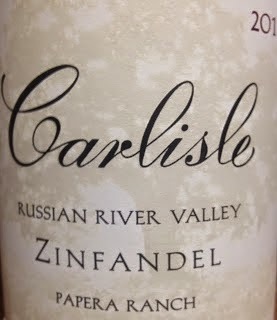 Toasty vanilla and cedar from the oak add depth, but the signature of this wine is its luxurious mouthfeel that expands on the middle palate. The 2012 Cabernet Sauvignon C.C. Ranch is from the Rutherford sector over near the Silverado Trail. The color is opaque purple – slightly darker than the Hayne or the John C. Sullenger. Very concentrated, with almost a confit of black cherries, blackberries and dusty earthiness underlying the fruit, this profile is not surprising as this vineyard is grown in gravelly, loamy soils. 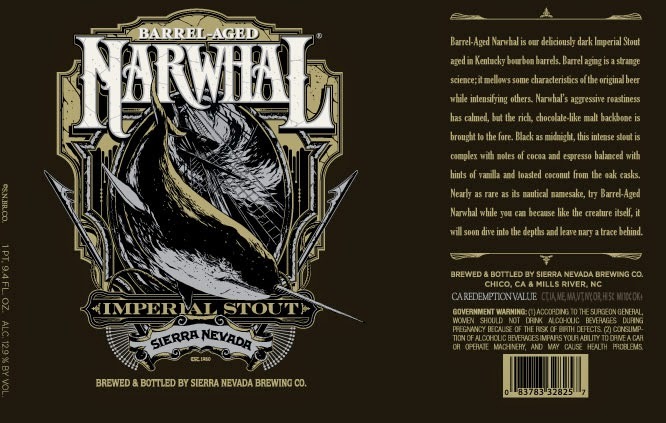 With a full-bodied mouthfeel, super density and richness, I found it a very youthful, vibrant, backward and foreboding style. This should be very long-lived, but require 4-5 years of patience. I won’t be surprised to see it keep for two decades. 6 more bottles in stock now! The Wine Advocate already gave it a perfect 100/100, now the new Wine Spectator Insider just gave it a perfect 100/100. I do not know of too many wines that have scored a perfect 100 from both. 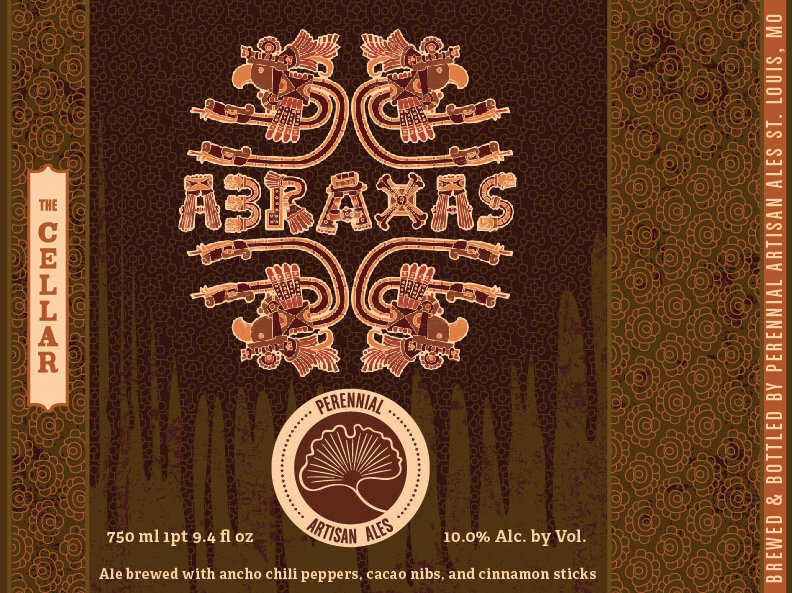 An American Imperial Stout brewed to accentuate the sweet chocolate character and aged on cacao nibs, vanilla beans, freshly ground cinnamon sticks and ancho chile peppers. Yes, please! Beringer Chardonnay Private Reserve - great price! IN 1805 THE MITCHELL merchant family commenced trading on 10 Grafton Street, in the heart of Dublin city as purveyors of confectionery, wines and fortified wines. In 1887, this entrepreneurial family expanded into the whiskey bonding business whereby they sent empty wine, sherry and port casks via horse and cart to the local Jameson Distillery which were then filled with whiskey and returned to the Mitchell’s cellar warehouse on Fitzwilliam Lane. There, beneath the cobble streets of Dublin, the whiskeys matured for many years under bond until they were ready to be bottled. The Mitchells sold a range of whiskeys under their ‘Spot’ brand name. This rather peculiar name originated from their practice of marking casks of different ages with a daub or spot of coloured paint. There was a Blue Spot, Red Spot and even a Yellow Spot, but Green Spot emerged as their most popular whiskey and is one of the few “whiskey bonder brands” to survive to modern day. GREEN SPOT is a non age statement Single Pot Still Irish whiskey and is comprised of Pot Still whiskeys aged between 7 and 10 years. The whiskey has matured in a combination of new bourbon and refill bourbon casks as well as sherry casks. Only small quantities of Green Spot are bottled each year. No real reason why. Drink some more and we'll bottle more. Full spicy body. A hint of cloves along with the fruity sweetness of green apples, rounded off with toasted oak. Lingering flavours of spices and barley. 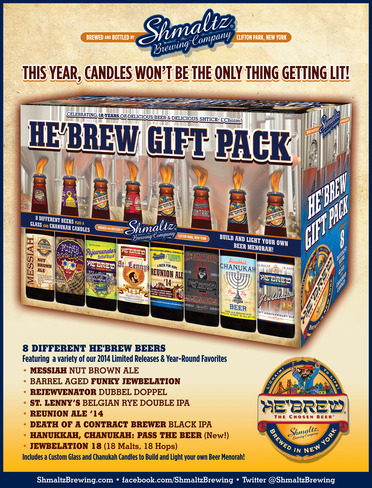 Shmaltz's 5th Annual He'brew Gift Pack, a showcase of 8 of He'brew's most sought after beers, is sure to add cheer this holiday season! The Holiday Season is upon us and while you're giving thanks and making plans we are busy rolling out a lineup of spectucular Seasonals to light up the holidays and keep you warm all winter long! After 18 years of brewing, we are finally launching the official Chosen Beer to celebrate those 8 crazy nights - Hanukkah, Chanukah, Pass the Beer - brewed with 8 malts, 8 hops & of course 8% ABV. We have also launched our VERY LAST He'brew Gift Pack, filled with 8 of our seasonal and core favorites, brewed throughout 2014. Have no fear, the Beer Menorah Contest will be a little different, but will continue for years to come. To celebrate our 18th Anniversary, Jewbelation 18, brewed with 18 malts, 18 hops and a sessionable 12.4% ABV is now available in ALLLL our states. L'Chaim! 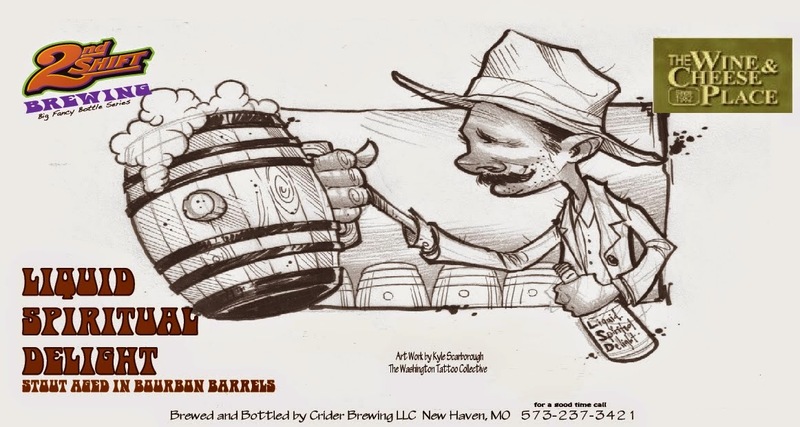 Stay tuned for He'brew events across the country - near you! Our annual Chanukah vs. Christmas Battle Royales and our special Most Chosen Bar tap takeovers will all be announced shortly so check out website and social media for details. If you're close to the brewery, every Friday we'll be releasing a new seasonal so come on in, sample the freshest He'brew Beer available and pick up plenty of He'brew swag and Beer To Go! A beer to reward yourself with after a hard day’s work. or if your hard day’s work is mowing the lawn, consider drinking on the job. WOW! 97 Point Rated sparkling for under $40 !!! 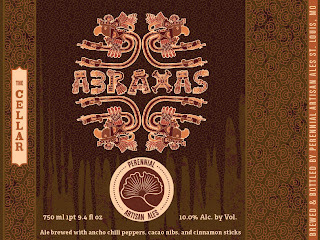 BRC - releases - EXCITEMENT!!! BRC Emails have been sent out. Again if they are not picked up by Wednesday November 26 at 7pm - we will put them out for sale on the day after Thanksgiving! Thanks very much to 2nd Shift for making these fantastic beers for us!!! BRC - emails sent out. Again it was 1 bottle of each per person except the top 2nd Shift supporters got 2 bottles of each. Thank you very much for your support! The deadline pick up is Wednesday, November 26th at 7pm. All the leftovers will go out for sale at 9am on Black Friday! 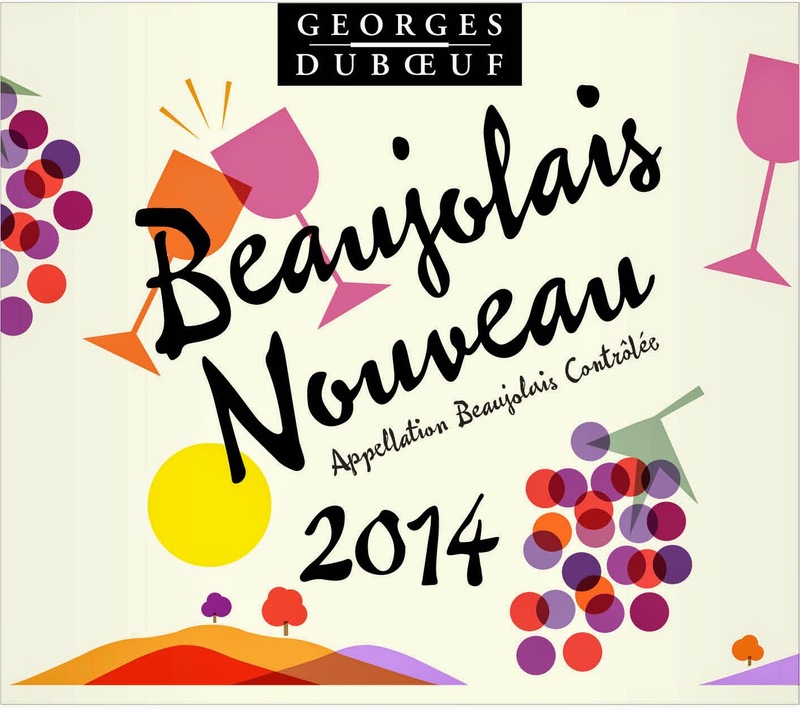 TODAY --- Thursday is NOUVEAU Day! 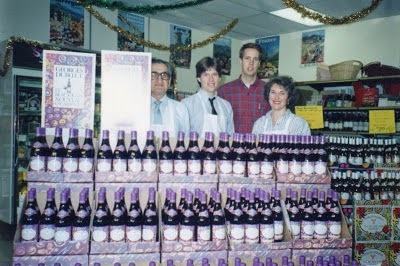 As you can see we have been celebrating Nouveau here at The Wine and Cheese Place for too many years. This is sometime in the 1990s. 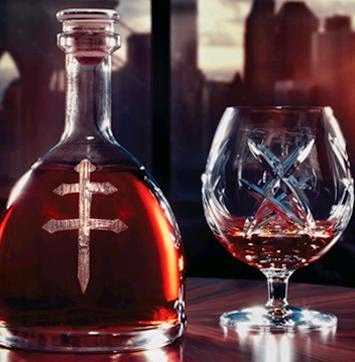 Naturally aged at least four and a half years in the cellars of France's Château de Cognac, D’USSÉ™ VSOP Cognac emerges as a bold, full-bodied blend that arouses the palate. On the nose, it reveals a powerful bouquet, rich in woody notes that are layered with touches of cinnamon and floral notes. 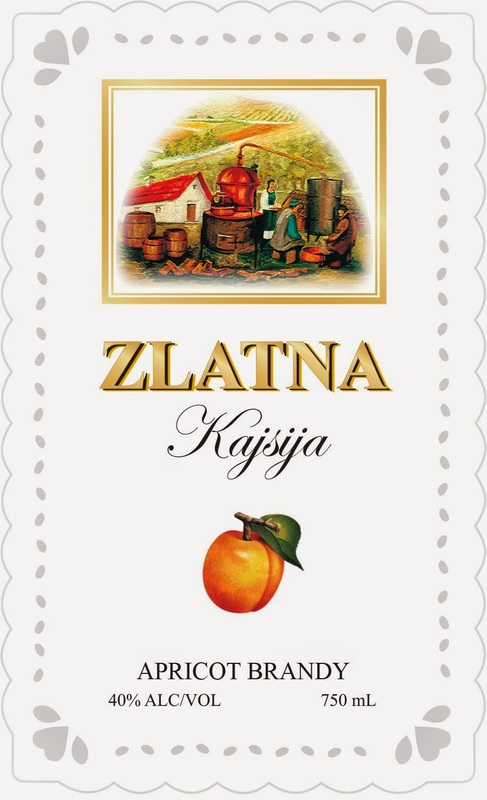 Distinctively and unexpectedly smooth, with each taste, you savor hints of spices, almond and cinnamon. Subtle accents of honey and dried fruits are the finale. "Doug Margerum, winemaker and co-owner of the Wine Cask in Santa Barbara, has produced one of the first — if not the first — American amaro, an Italian-style digestivo. Made from fortified wine infused with botanicals and herbs, Margerum's complex amaro is aged outdoors in casks. Drink it after dinner or as the bitter component for a Manhattan. $50"
AMARO covered in the Independent! Digestif as Your New Leaf? If you fancy yourself a bon vivant, consider starting the New Year by changing the way you end your meals. Digestifs have settled restless post-feast bellies for centuries in Europe, and now, thanks to Wine Cask co-owner and winemaker Doug Margerum, there’s a locally sourced, but Italian-inspired, version to make your regular nightcap. 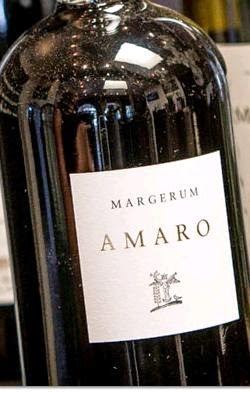 Called Amaro, Margerum believes that his fortified blend of sangiovese raisin juice with various herbs, barks, woods, and roots is the first amari — the genre of sweetly bitter Italian liqueurs whose best known brand in the States is Fernet Branca — ever made in North America. Like great friendships, Barleywine is meant to evolve over time. Sweet malt foundation with some bright fruity overtones and a balanced hop finish. 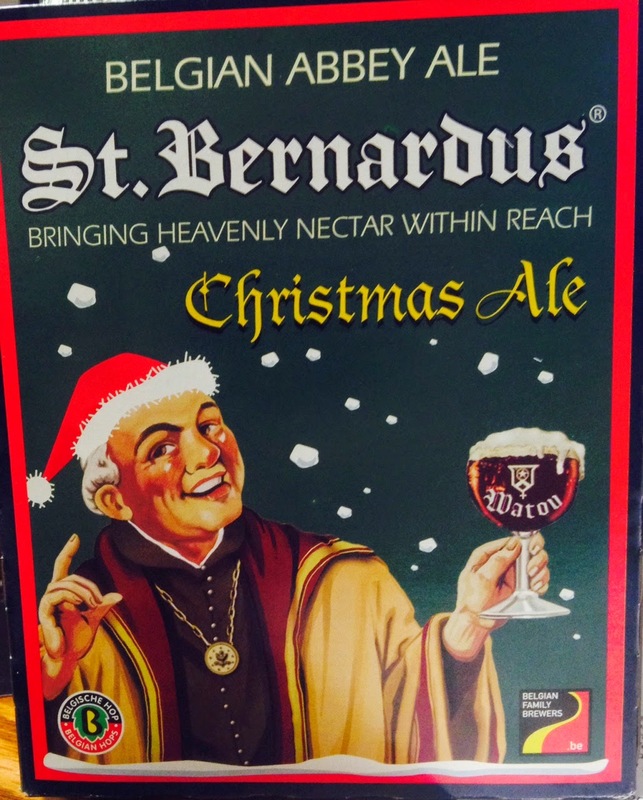 St.Bernardus Christmas Ale is a dark seasonal brewed in the classic 'Quadrupel' style of Belgium's best Abbey Ales. (10,0 % ABV) Similar to all the beers from our brewery, it greets the drinker with the signature aroma of the St.Bernardus house yeast strain (in use since 1946!) 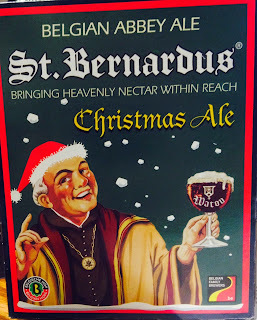 Rivaling the complexity of the St.Bernardus Abt 12, St.Bernardus Christmas Ale offers a spicy, mint-like flavor profile exuding the tastes of warming alcohol, fermented molasses, apricots, licorice and marzipan that are highlighted by the perfect balance of brewing sugars. The perfect companion to enjoy a (cold?) winter evening, with or without the company of your friends ! Like fresh powder, it’s a seize-the-moment thing. This year we've chased down the famed Mosaic hop from the amazing John I Haas growers. At harvest, we rush the hops from the vine to our kettles to ensure we capture the purest, juiciest essence of the hop flower in every beer. Enjoy the bright, bold aroma and flavor that comes but once a year. Prairie Artisan Ales - Christmas Bomb!